Develop and strengthen essential emotional intelligence skills in adolescents with this practical, hands-on resource. Developing emotional intelligence (EQ) in students is essential to preparing them for success in college, careers, and adult life. 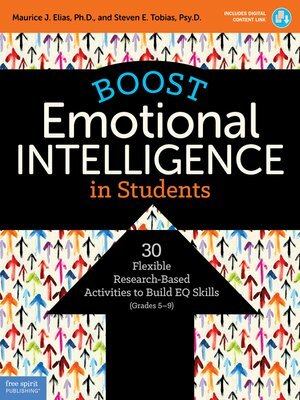 This practical resource for educators explains what emotional intelligence is and why it's important for all students. The book lays out detailed yet flexible guidelines for teaching fundamental EQ in an intentional and focused way. The core of the book is a series of thirty hands-on lessons, each focusing on critical EQ concepts and centered around productive and respectful discussion. These research-based lessons are designed to take approximately thirty-five minutes each, but they can easily be adapted to meet the specific needs of a school or group. Digital content includes reproducible forms.